You are cordially invited to the UCSF Memory and Aging Center’s Third Annual Hillblom Aging Symposium! With support from the Larry L. Hillblom Foundation, the Hillblom Aging Network aims to understand cognitive aging and age-associated biological change. With this goal in mind, come to hear research updates from experts in the field on the underpinnings of aging: What is it? How do we study it? Why should we care? 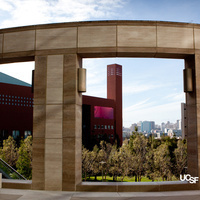 This event is open to the public and will take place on Wednesday, Oct 17, in Byers Auditorium inside Genentech Hall on the UCSF Mission Bay campus.